When Star Wars: Episode IX hits theaters at the end of 2019, it'll feature one of the franchise's most beloved characters: Lando Calrissian. 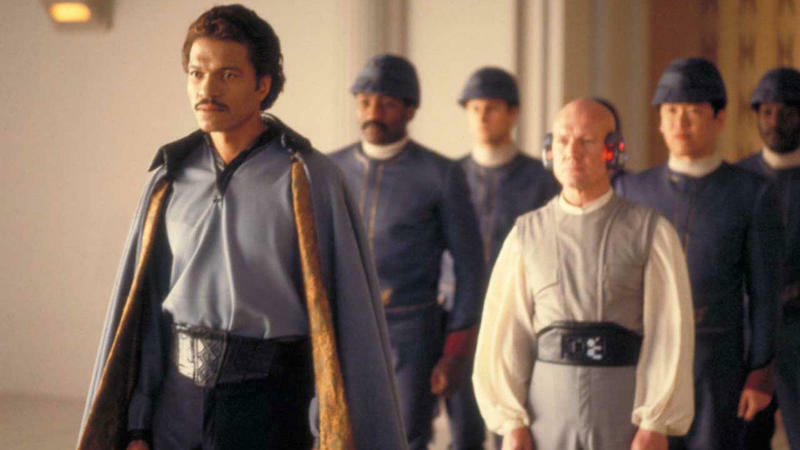 According to The Hollywood Reporter, the character will be played by none other than Billy Dee Williams, who portrayed Lando in the sequel trilogy. Lando's stock has risen over the past several months with actor Donald Glover recently taking on the role in Solo: A Star Wars Story. The iconic character was last seen in Return of the Jedi but hasn't been mentioned since. Episode IX will seemingly address his whereabouts, though it's unclear how important he will be. Seeing him return in Episode IX will be a big moment, as he's coming back to a changed galaxy. Not only is his buddy Han Solo dead, but the First Order is gaining in power while the Resistance is in disarray. Will he have some tie to either Finn or Rey? Williams hasn't been officially announced as being part of Episode IX, but evidence for his involvement has mounted over recent days. He was expected to appear at a fan convention later this summer but had to cancel due to filming conflicts. Episode IX filming is expected to begin this summer. In addition to Williams appearing as Lando, it was revealed that The Americans actor Keri Russell was hired for an undisclosed "action heavy" role.